What age did you start playing for Moorefield? I think I was 6 or 7 when I started going up on the Saturdays. Position you would like to play? Midfield but I doubt I’ll ever have the fitness for it. My parents, managers of the past and more recently team mates and ex-team mates. Can you remember your first time playing with the Moorefield Senior team? 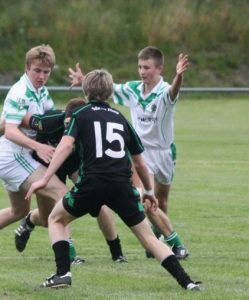 Yeah it was my first year up with the seniors it was a league game against Castledermot on the second pitch. It was the only minutes I got all year ha ha. 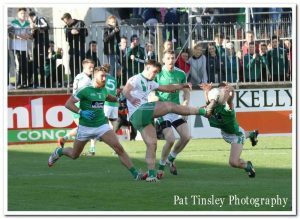 What’s the most enjoyable day you have had in a Moorefield jersey? 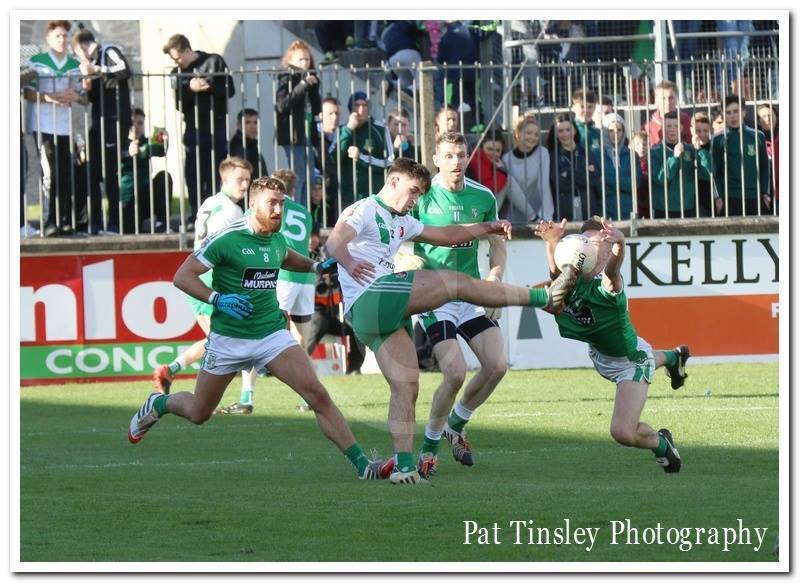 2014 County Final, any day your winning a final with Moorefield is a good one really. Who did you look up to at the club when you were younger? The Lonergan Brothers, Philie Wolfe and Paddy Murray, they were my soccer managers at the time that’s when I really started to follow the seniors. Best grounds you’ve played in? Kevin Murnaghan when he was in his prime and had a little bit more hair that’s a long time ago now though!!! 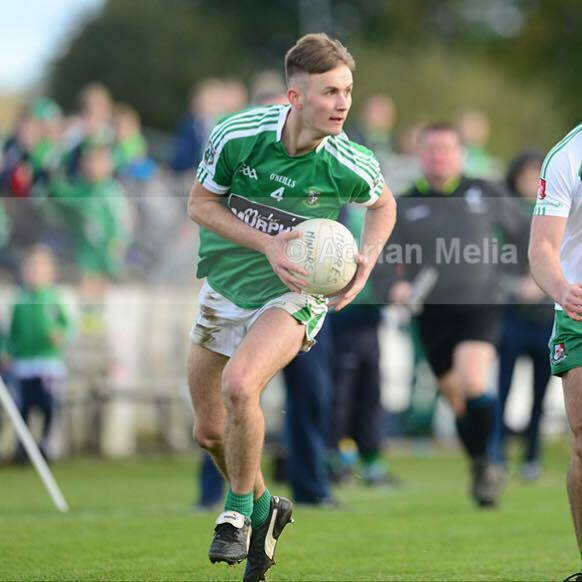 Niall McNamee. I’m still looking for that ball on the side-line. 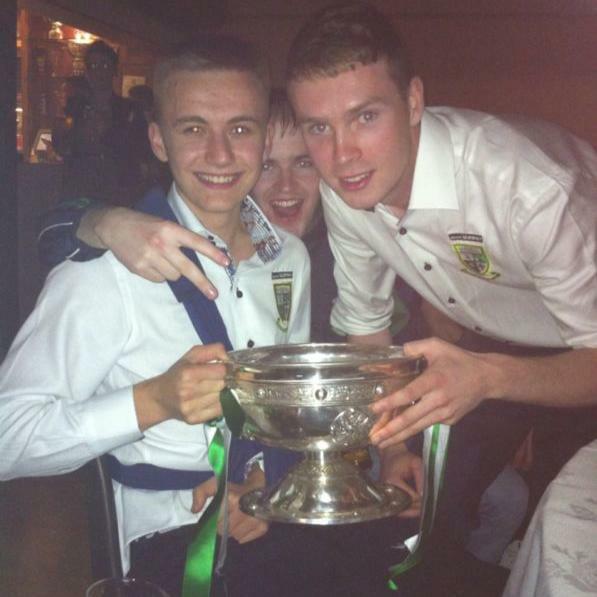 The whole year of 2014, winning the Senior Championship and winning the Senior and U21 club player of the year awards. He’d cry if I didn’t say him. Tom Kinsella unfortunately. Toughest player on the team? Ian Lonergan without a doubt. Ian Meehan or Aaron Mullins. I would have said Houlie but he can’t run more than 10 yards without feeling his hamstring now. Who’s the Joker/Messer of the team? Mark Dempsey never stops messing. Aaron Mullins and Podge Flynn have been since I have been involved with the team. Who’s the worst time keeper on the team? Liam Callaghan. I wouldn’t mind he wears a massive watch that’s far too big for his skinny wrists must be just for show. Tom Kinsella. He always gives it everything after two bottles of corona. Who is the worst dancer? I did a Broadway show with Daryl Flynn earlier in the year and he was just awful. Who’s the worst dress sense? Collie Barrett. He wears a rug and his mother’s jumpers to training. Finally, who’s the manager’s pet?? James Murray. It’s now 8 months into the year and he is still trying to get the captaincy.